New South Wales Premier Mike Baird and the state’s Minister for Local Government Paul Toole have finally unveiled plans for big council reforms. The NSW Government is proposing 15 new metropolitan councils “to help the city grow”, by cutting the total number of metropolitan councils down from 43 to 25. In regional NSW, 20 new councils are proposed, which would bring the total number of regional councils down from 109 to 87. 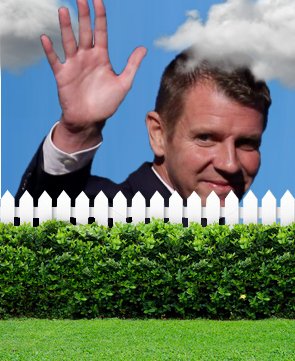 “Fewer councils will mean a big reduction in red tape for the NSW community and the businesses that work with councils,” Mr Baird said. Mr Toole said each proposal was the result of careful consideration of all the evidence, including four years of consultation with every council in NSW, independent assessments, merger preferences submitted by councils, and feedback from communities and stakeholders. But the Local Government NSW says the forced mergers will set a number of communities on a warpath with the Baird Government. The council lobby says some councils found “fit” to stand alone under the Government’s criteria are slated for forced amalgamation, while a voluntary merger proposal by Cootamundra and Harden councils has been overruled in favour of a different approach. Local Government NSW President Keith Rhoades said the final number of amalgamations was significantly less than originally planned by the Government - testament to the strong voice of the sector and local communities. “It’s also a win that the Government has agreed to follow the review process set down in the Local Government Act, instead of the wholesale sackings they floated earlier this year,” Cr Rhoades said. “LGNSW will continue to hold the Government to account throughout this process, which must be followed to the letter if the Minister wishes to avoid legal challenges. “But it’s important to note that even though the review process offers an opportunity for community input, the Minister is in no way bound by its findings or recommendations, or that of the Boundaries Commission. “As long as it has ticked all the procedural boxes as set out in the Act, the Government can essentially proceed to forced amalgamations at will. “This whole process has run off track since the initial coming together of the State and Local Government to nut out reform that would genuinely benefit the residents and ratepayers of NSW. “Back then, the Coalition Government committed itself in writing to no forced amalgamations, and worked collegiately with councils to come up with wide-ranging reforms which would resolve systemic funding problems such as cost-shifting and rate exemptions. “Now, it’s clear for all to see this bully-boy farce is about removing genuine local representation, and completely ignoring the expressed wishes of local communities. Detailed merger proposals are now being finalised and will be referred to the Chief Executive of the Office of Local Government (OLG) for examination and report under the existing process set out in the Local Government Act. The Chief Executive will appoint qualified delegates, who will commence a public consultation process for all 35 proposals, including public hearings. Following this stage, final proposals will be referred to the Boundaries Commission for comment.